The Four Palace Pass offers visitors access to some of the most beloved buildings from the Royal history of Great Britain. Dating from 1078 with the Tower of London and William the Conqueror, you can explore the wonderfully rich heritage of England’s Royal palaces and figures all the way through to the modern day, with Kensington Palace opening a new exhibition in 2017 celebrating the style of Diana, Princess of Wales. The Tower of London is home to the crown jewels, with 23,578 gems in its extensive collection. Protected by the Yeoman Warders, this fortress dates back to William the Conqueror’s time and has many historical tales to unleash. The pain, the treachery, the passion and the torture that has been endured in this London landmark will astonish you. 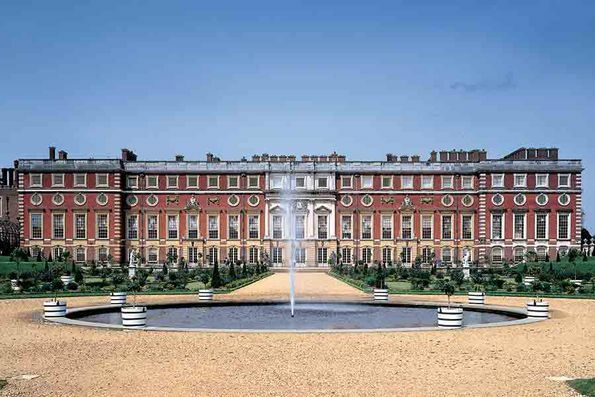 Hampton Court Palace is known for its extensive grounds and splendid state rooms and will not disappoint. With furnishings and decoration from the Tudor and Baroque periods, the Palace is still fit for Royalty – it’s easy to see why it was so beloved by the Tudors, the Stuarts and the Georgians. The Great Hall and the infamous Haunted Gallery are visitor-favourites, but the real talking point is still the garden’s maze. Set in over 60 acres of gardens leading down to the River Thames, there’s as much to explore outside as there is inside. The Banqueting House is the site of, arguably, the most significant moment in the history of English Royalty, with the beheading of King Charles I taking place here in 1649. This beautiful building on Whitechapel reveals the factors that led this extraordinary event, as well as housing some of the most breath-taking ceiling paintings by the highly revered Rubens. Kensington Palace is still home to several members of the Royal family, but this tour takes you back to its previous inhabitants; celebrating the life of Queen Victoria, visit the bedroom in which she was told she was to be Queen on the morning of 20th June 1837, and view a number of her ceremonial dresses, including her simple wedding gown, in the Royal Ceremonial Dress Collection. The King’s Gallery is one of the state apartments open to the public today, and remains pretty much as it was when decorated for King George I, dating back to 1727. The pass is valid for two years from the date of issue for one visit per valid palace, therefore giving the traveller flexibility to plan their own itinerary.